Divorce is usually a highly contentious experience. Two people who were formerly in love are now parting ways, which might lead to ugly scenarios. Some spouses attempt to hide some information in a bid to escape the family laws that they feel will not favor them. So, in such a case hiring a private investigator is necessary. Here is how a private investigator can help with your divorce case. If you suspect that your spouse is unfaithful but you do not have evidence, hiring a private investor will help. Sometimes you can be sure that your partner is cheating on you but you do not have evidence to present in court during your divorce proceedings. This is where the investigator comes in. They can also help you prove marital misconduct, which will enable you to provide more favorable terms for a partner when there was a prenuptial agreement. A private investigator can also assist to gather evidence in instances where a spouse was being abused. Such evidence is crucial when trying to acquire a restraining order against the abusive spouse. 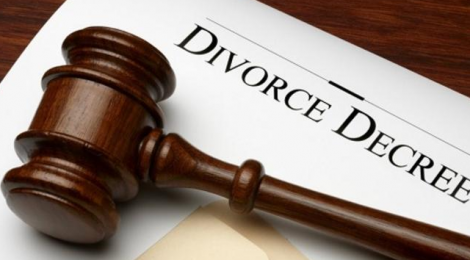 The evidence will also offer pre-divorce relief such as child support, child custody, payment of legal fees and spousal support. When one partner knows that they will be asked to pay support, they might attempt to lower their earnings so that nothing will be demanded from them. He or she might liaise with the employer to delay employee privileges such as bonuses until the divorce proceedings are over. The person might even take a temporary cut in hours to make the earning seem less. In case the spouse owns a business, he or she might take intentional steps to decrease the value of the enterprise such as taking more debts. Some devious spouses even go to the extent of reducing the official working hours and instead work “off records”. On the other hand, spouses who know they will receive support after the divorce might be living with another lover but hide this information so that they will not miss out on receiving the cash. Private investors know how to unveil all these dubious acts so that the truth can be known and justice prevails. An important role that private investigators perform is location of assets. Sometimes during the divorce proceedings, the case might remain pending for a while. Devious spouses take advantage of this period to hide assets illegally. They do this in a bid to shield themselves from the proceedings. This is mostly in cases where one spouse has been doing businesses behind the other person’s back. It might also occur in situations when the spouse is hoping to stop the divorce proceedings by hiding their marital estate. One can hide the assets through several ways. One of them is to pay off loans to friends and family; of which in most cases the loans are non-existence. They only do this to divert the wealth to another Peron’s name so that it becomes difficult to trace. They might also sell off their property at discounted prices, and then reclaim them after the divorce is complete. When you hire a private investigator, he or she will look through an array of databases to look for such assets that might be hidden. They may even search SEC filings in a bid to establish whether there are businesses or assets that have not been disclosed yet. The family lawyers will use this data to request for the information legally during the court proceedings. That way, the client gets justice and the hidden assets are revealed. Private investigators also come in handy during child custody case proceedings. In case a spouse is concerned regarding how a child is treated during visits, they can ask an investigator to find out. Some children are exposed to bad environments such as alcohol and drug abuse when they visit a parent. This is not right since the child will grow up thinking that these things are okay. Some kids are even abused by their biological parents. Don’t allow your kid to suffer such mistreatment. Instead, hire a private investigator to unveil all the evils and free your child. The court might even allow you to have full custody.